Just when you thought it couldn't get any better.....this mount adjusts and locks in place at both ends. We've joined the "LeveLock" Adjustable Fish Rod Holder Mount, with the "Pow'rGrip" Adjustable Fish Rod Holder Mount. This allows the "Pow'rGrip" portion of the mount to adjust to any size rod holder and lock in place, while the "LeveLock" portion of the mount, adjusts and locks your Magma rectangular grill. 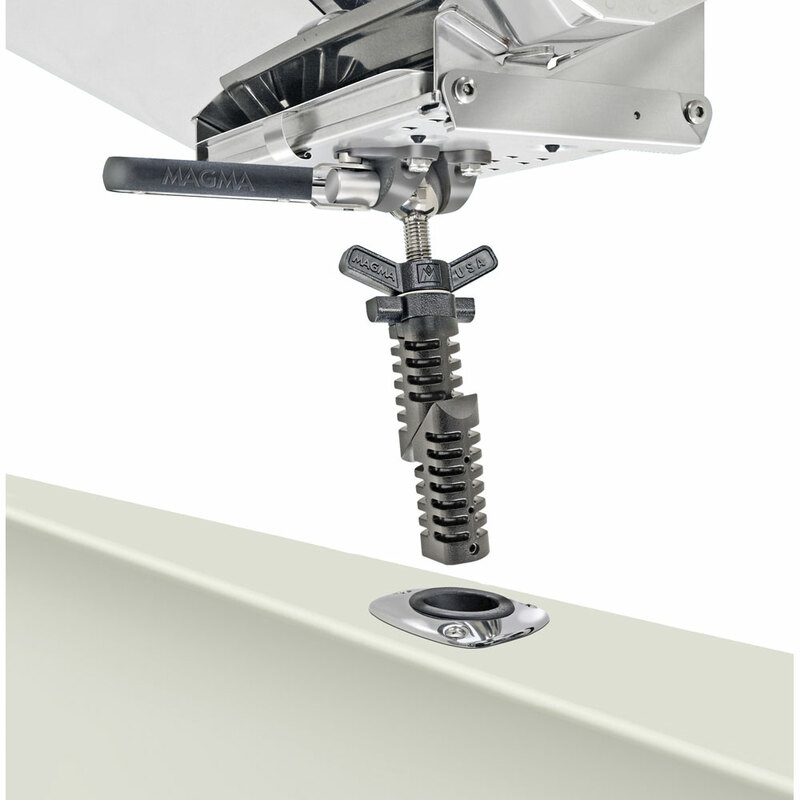 This mount is the strongest, most corrosion resistant, most versatile mount in the industry.